Apple is working on a new pair of its hugely-popular AirPods, scheduled to launch sometime later this year. The second-generation wireless earbuds will purportedly have always-listening Siri functionality – so you'll no longer have to tap the earbud to summon the AI assistant, but start your query with the "Hey Siri" wake phrase. The latest report on the upcoming earbuds, which comes courtesy of blog MySmartPrice, claims the upgraded Apple AirPods will be easier to hold onto thanks to a grippy new coating applied to the case and each individual earbud. This will purportedly be similar to the tactile coating applied to the glass back on the Pixel 3 around the rear-mounted camera. Elsewhere, Apple has been busy working to improve the audio quality of the earbuds, sources say. The new Bluetooth-powered earbuds should offer greater sound quality, including improved bass response without any visible tweaks to the exterior shape or dimensions. Another seismic change coming to the second-generation AirPods is the addition of a brand-new colour. Yes, it's true. 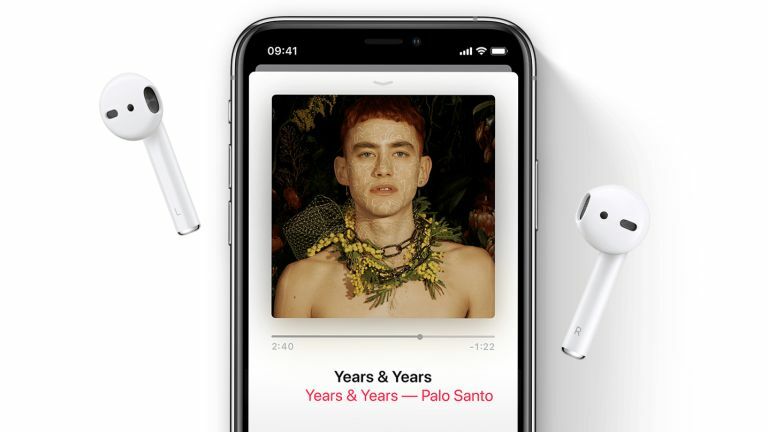 After more than a decade of only using its trademark white headphones to market the iPod range, and sticking with the same colour for its first-generation AirPods, it seems Apple is ready to change things up a little. According to MySmartPrice, the next pair of AirPods will ship in black, which is likely to be called Space Grey if Apple's previous branding around the colour is anything to go by. These updated models will ship with Bluetooth 5.0 instead of Bluetooth 4.2, which was used for the original AirPods. Bluetooth 5.0 tends to offer improved battery life. Unfortunately, these improvements will come at a cost. According to the new report, the next-generation AirPods will cost around $40 (£31 converted) more expensive than the current-generation. That brings the total to $200. Given that Apple charges $159 for its AirPods in the United States, and £159 in the UK. We can expect the rumoured $200 price tag to equate to £200. Finally, the report reiterates previous rumours that Apple is looking to add biometric sensors to its next-generation AirPods. According to the official document, these will be “pressed up against a portion of the tragus,” so the AirPods can record heart rate and body temperature, as well as a number of other health metrics. The tragus, as we all know, is the sticky-out bit above the earlobe, and what Apple's buds sit directly behind when they're in your ear. Apple is expected to hold a media event in late March to unveil an updated iPad Mini. It could also be when the company decided to launch its new AirPods.